1. Glass RT, Conrad RS, Kohler GA, Warren AJ, Bullard JW. 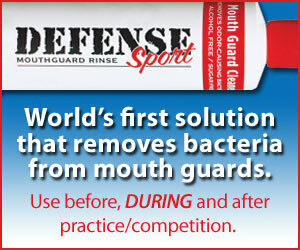 Microbiota Found in Protective Athletic Mouthguards. Sports Health 2011 (http://sph.sagepub.com/content/early/2011/03/29/1941738111404869.abstrac... (accessed April 9, 2011).